Andy’s letter to Red after he’s paroled (spoiler) in a little movie called “The Shawshank Redemption” was found under an old oak tree just outside of Mansfield, Ohio where tourists would flock to take pictures. While the #ShawshankTree has finally toppled due to heavy winds, craftsmen, including our friend Steve, were able to turn it into treasured collectibles complete w/ a certificate of authenticity. 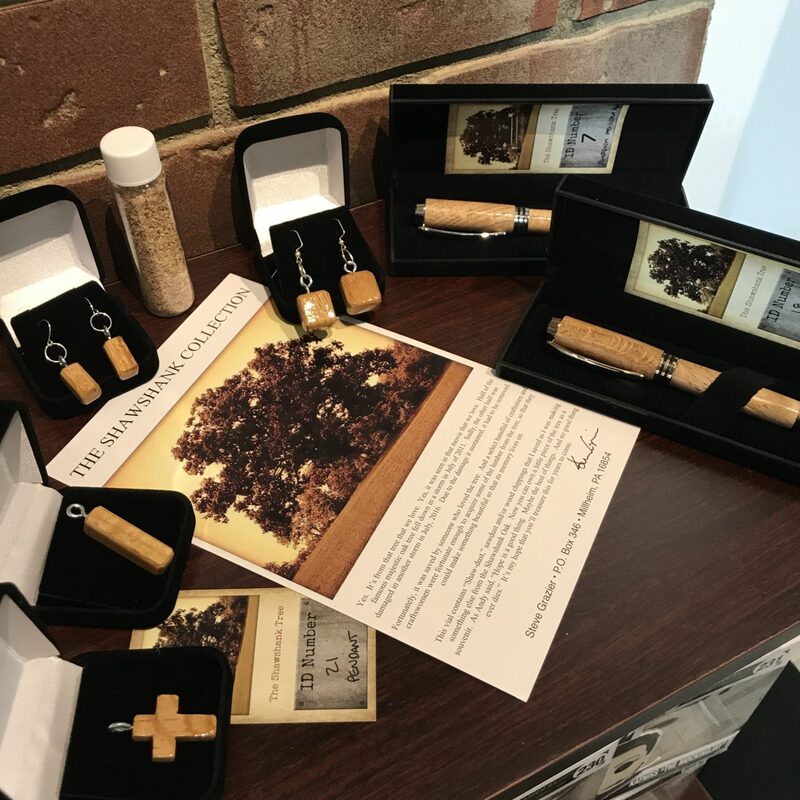 There are obviously limited quantities, but we have gorgeous rollerball and fountain pens, cross and drop pendants and 2 styles of drop earrings and of course, he saved all the “Shaw” dust and packaged that up too. While big fans of the movie, we were also looking for a #GeorgiaFilm connection. Being set in Maine, as Stephen King likes to do, and filmed in Ohio we thought we would be out of luck, but, like with most things, we found a connection to The Walking Dead. Frank Darabont adapted the screenplay, as he did with The Green Mile and The Mist, from King’s novella and then directed the movie, but to #GeorgiaFilm fans we know him as the original showrunner of The Walking Dead. Darabont wrote and directed Days Gone By the very first episode and the one that kicked everything off, ahhhhh the good ole days. There are seasons of The Walking Dead, like the current season 8, that have us longing for Frank’s return. Now the #ShawshankTree is part of #GeorgiaFilm since you can get these fun products from our retail shop and website!